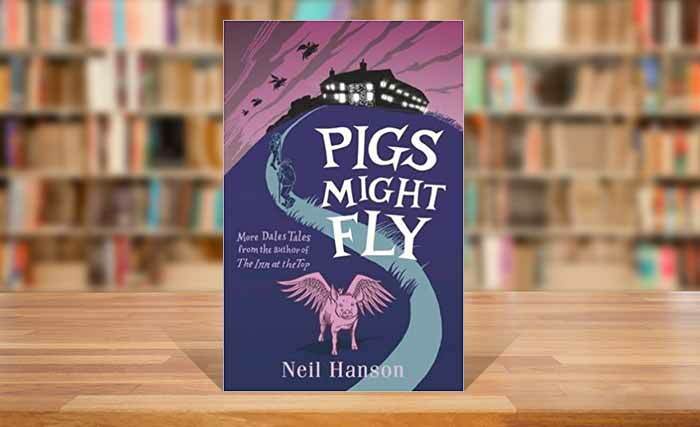 Always a good source of literary targets, the Yorkshire Dales hits the mark again, this time in Neil Hanson’s story of how he moved back into the highest pub in Britain. Following his previous book, The Inn at the Top, which dealt with how he and his wife managed the inn in the 1970s, the couple return to the inn as the owners for another tale of Northern life in an extreme environment. After living on a narrowboat, and while acting as a temporary exhibition organiser coupled with a rugby league reporter, he explains how the couple decided to buy the pub when the shady owners whom they had distrusted before decided to sell. Neil brings to life the locals and their varied characteristics, the frantic life as a landlord, and the deal that brought the pub national fame when Everest Windows installed double glazing and used it as a TV advert fronted by Ted Moult, who watched as a feather drifted by the window demonstrating the lack of draught. It is a humorous tale, often told with tongue in cheek, but honestly recounted even including his wife leaving him as things got too hectic as he tried to run the pub and take three days off to disappear to St Albans each week at a peak time to edit the Good Beer Guide for the Campaign for Real Ale. A fun read which may present readers with the desire to visit the pub, the Tan Hill Inn which still boasts its highest calling. Previous articleMayday… Ride for the Lifeboats!